There is a cult following of 4chan and QAnon. There is no denying that, and, although I have never been a follower of the 4chan board myself, as I am not much into conspiracy theories, I recently ran across a post from that board which I found not only intriguing but also very plausible. The post deals with the arrest of Julian Assange and suggests that we connect the dots between Mueller’s exoneration of President Trump and Assange’s arrest, the implication being that President Trump waited for his exoneration, then arranged for Assange to be arrested and extradited to the United States to pin the goods, in sworn testimony, on Barack Hussein, Hitlery Clinton, et al., as a critical step in the complete dismantling of the deep state. 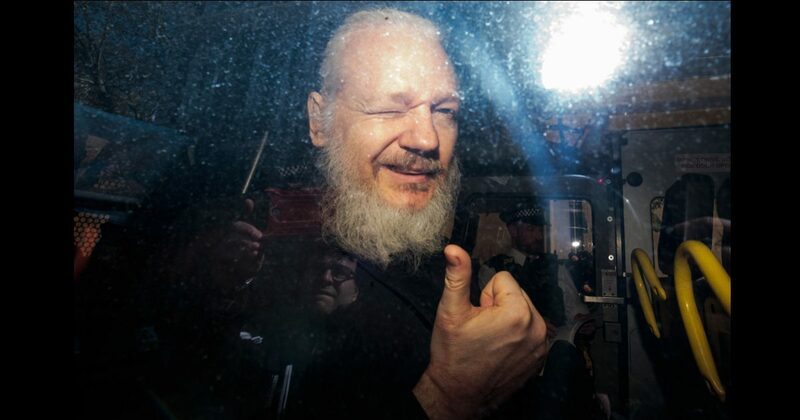 The initial reaction of most American patriots to the arrest of Assange was outrage. They protested that Assange, little more than a whistleblowing publisher of damning leaks, should be allowed to go free, as he is considered a hero by millions for exposing Clinton, Obama, the DNC, and many of their deep state operatives. Plausible, yes? Consider this. If Assange was a free man, no doubt he would be a prime target of the Clintons, Obama, et al. He still knows plenty that he hasn’t shared and he can document it. He is still sitting on 30,000 unreleased emails. How long would it be before Assange had a terrible accident or committed suicide? In US protective custody, Assange will enjoy high security 24/7 and can cooperate with DOJ in going after the scum that operated in Washington during the Obama administration which made every attempt to remove President Trump without a care that they were brazenly violating American law. Unlike the miserable two years that Jeff Sessions served as Attorney General, President Trump now has an AG in his corner who is not afraid to go after the powerful demons on the left who operated for eight years with no regard for We the People or the laws of the United States. All that mattered to them then, and all that matters to them now, is the continuation of their power and their agenda, to hell with the country and the people who put them in power in the first place. Adding to the plausibility of this scenario is the fact that President Trump and Julian Assange are allies. President Trump detests the deep state swamp and is trying to destroy it. So, too, Julian Assange. Who knows how close this scenario is to reality, but it is certainly plausible, and my high regard for the triumph of good over evil forces me to believe it.